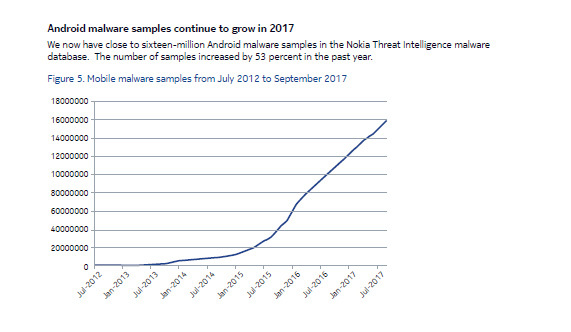 The Nokia Threat Intelligence Report examines malware infections found in mobile and fixed networks worldwide. It provides analysis of data gathered from more than 100 million devices by the Nokia NetGuard Endpoint Security solution. In May and June, two fast-spreading ransomware worms devastated corporate networks worldwide. One company attributed a loss of $US200–300 million to the second attack. The monthly mobile infection rate has averaged 0.68 percent this year, with smartphones accounting for 72 percent of infections. 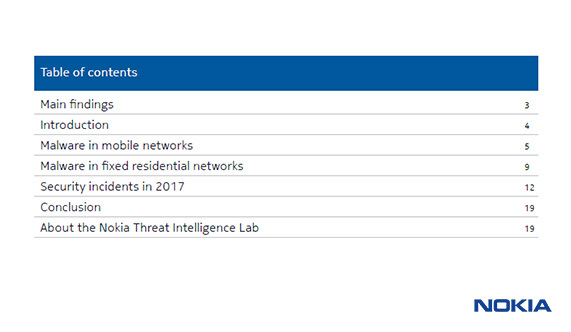 The mobile infection rate rose in Q3. The fixed residential infection rate averaged 6.2 percent through Q3, down 11.3 percent year over year. 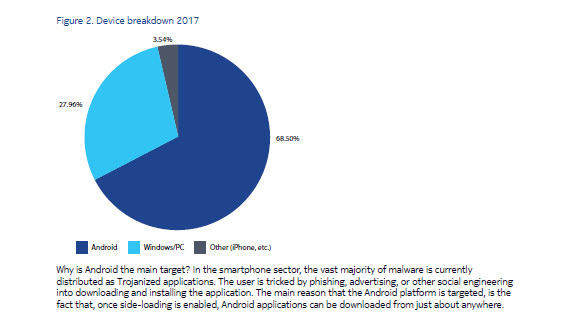 This reduction indicates that criminals are increasingly targeting smartphones and IoT devices. 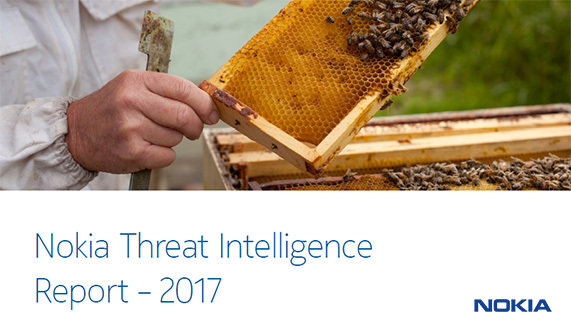 Read our 2017 report for detailed analysis and insights that can help you understand how cybercriminals are using malware to put your network, customers, and business at risk.